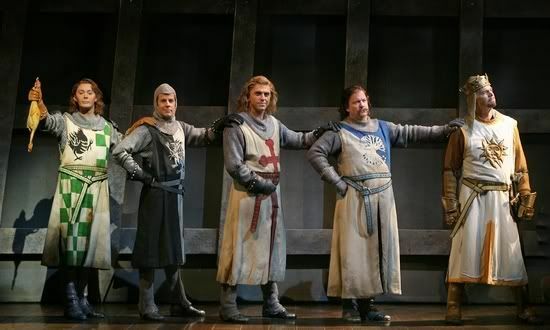 On January 4, 2009, Clay Aiken performed his last performance of Spamalot on the stage of the Shubert Theater. It was a night of celebration for the audience and the cast members. From the look on Clay’s face, it was a night full of joy and excitement for him too. Thank you, Clay for the great Broadway adventure. 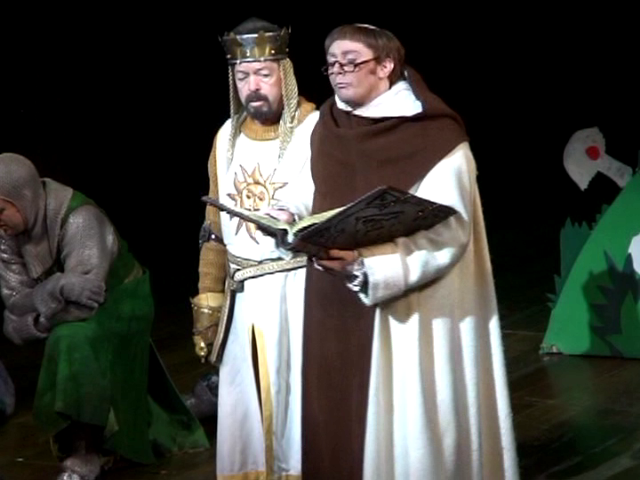 Your performances as Sir Robin, Guard 1 and Brother Maynard were spot on and gave the audience lots of laughs. 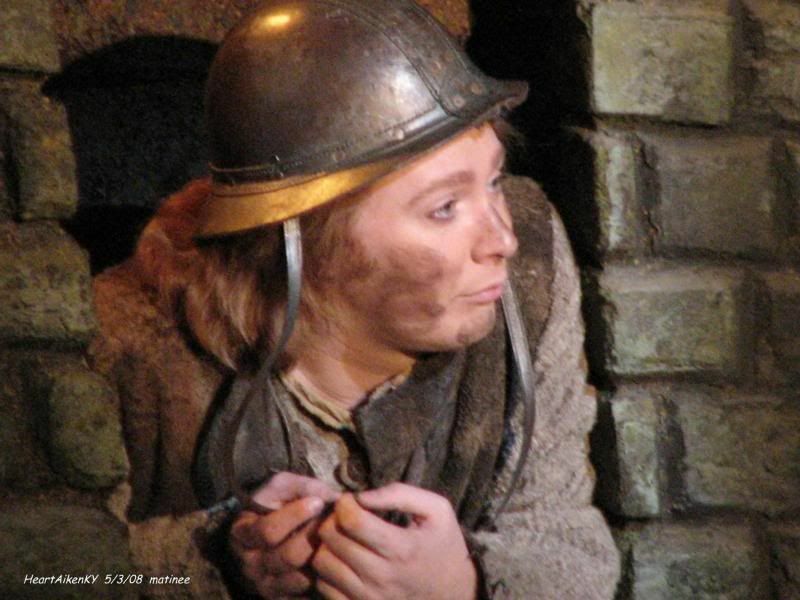 I was lucky enough to see Clay perform in Spamalot and even was chosen as the peasant one night. However, I was not there for the final show. all of the great pics, Musicfan and the video. I was never fortunate to see Clay on Broadway, 🙁 but I hear it was fantastic! I did get to see it "after" tho. What a treat to be a "peasant" musicfan! 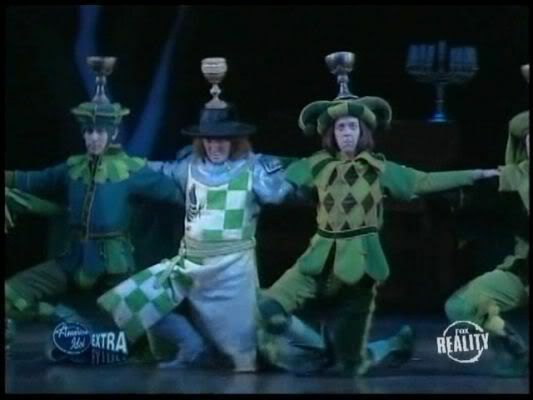 I would have loved to have seen Spamalot with Clay in it, it must have been great fun and Clay is so talented, I have watched the different videos of Spamalot on Utube, thank goodness for that website as i can watch so many of his videos. Thanks Musicfan xox. ps. whenever i feel blue or lonely I watch Clay's videos and listen to his music and then I feel so much better! thank you Clay. impeccable. I so wish he would be picked for a great role in another play…..soon! 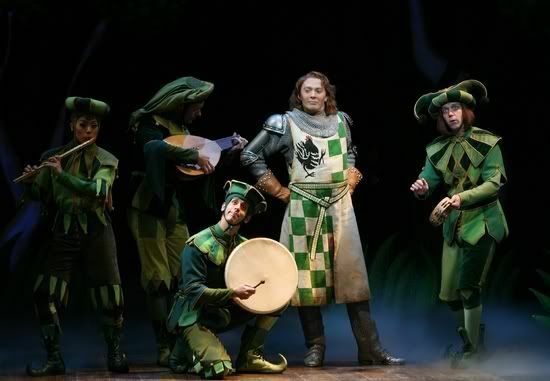 of the experience as I was in the "Aikenfog", but what I can remember most is looking into those green eyes when he was on bended knee in front of me singing with the rest of the characters on stage. 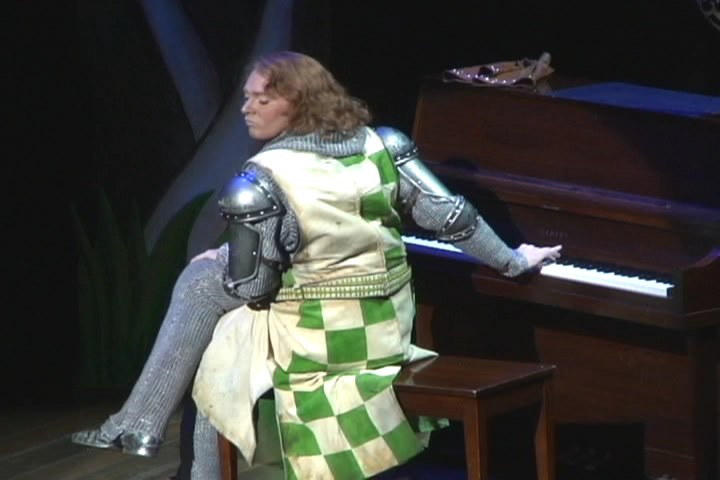 I did get to see Clay in Spamalot twice. In April & Oct. It was so exciting to see how much fun Clay was having on stage and how much the audience loved him. All I can say is ENCORE! 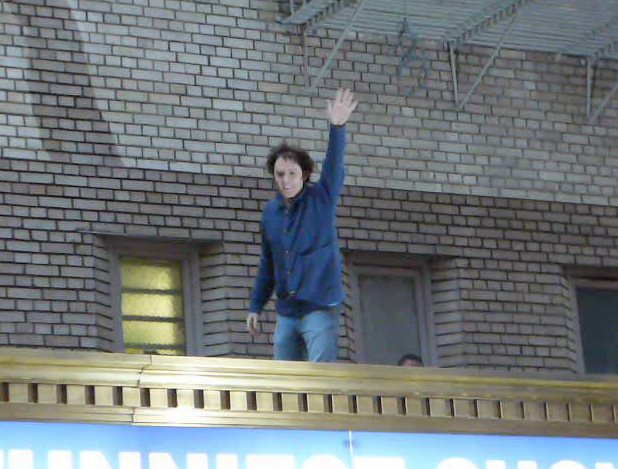 I was there for Clay's closing night of his first run on Broadway, but not for his second run. I'm praying Clay will be back on the Broadway stage soon especially since I can easily hop on a bus to get there to see him. I was very careful of the YouTube I chose to put in this article. Since Clay requested that cameras not be used, I didn't think it was appropriate to post any fan videos. 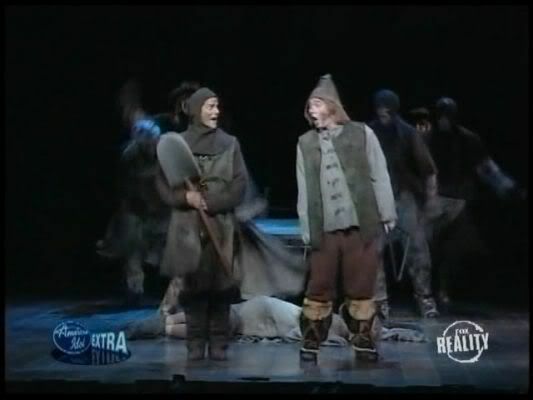 (Crazy because I do have copies of the show and love them) Maybe I am too careful, but I would rather be too careful than not careful enough. I totally agree musicfan. Better to be safe with those fan video's. I wasn't there the last performance, but did make 2 trips from north of Toronto by train to NYC. It was wonderful, and can't wait for Clay to be back on Broadway. He fits there so perfectly. Error: Error validating access token: Session has expired on Tuesday, 21-Aug-18 16:13:01 PDT. The current time is Thursday, 25-Apr-19 07:59:01 PDT.